Harry Gent Casson was born in Breightmet, Bolton on 23 September 1885. 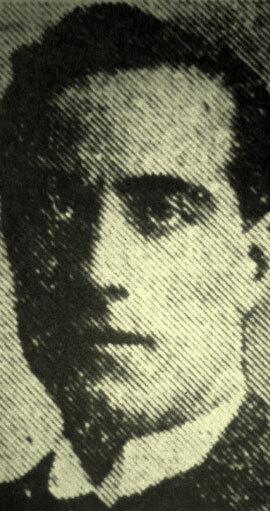 He was the son of James and Hannah Casson of 395 Bury Road, Bolton. His father, James Casson, a foreman painter on the railway, died in 1910. 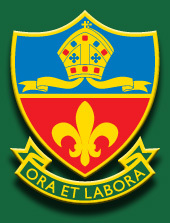 Harry attended Bolton Church Institute from 1 February 1897. He appears on the 1901 Census as a solictor’s clerk. By 1911 he was a newspaper publisher’s clerk with the Bolton Evening News. Later he was publisher of the Lincoln Echo and Gazette. Harry enlisted as a Private in the Artists Rifles, 28th Battalion, The London Regiment on 13 June 1917 at Lincoln. His occupation was given as a newspaper sales manager in Lincoln and living at 264 Burton Road. He is described in his Army service record as being 5' 8” tall and weighing 121 pounds (8st 9lbs). His Battalion was transferred in 1917 to the 63rd (Royal Naval) Division. He embarked from Southampton and arrived at Le Havre on 1 April 1918. He was posted to 1st/17th Battalion, The London Regiment on 3 April 1918, joining his unit in the field on 6 April 1918. He suffered shell wounds to the shoulder and head on 6 October 1918, probably during the Allied advance in Flanders and the Third Battle of Ypres. He died from his injuries on 10 October 1918 at No 1 Australian Casualty Clearing Station, St Venant Asylum, Pas-de-Calais. His wife, Nellie, died of influenza and broncho-pneumonia at their home in Lincoln on 17 February 1919 - a few days before Harry's effects were returned. They had no children. News has been received that Corporal HARRY CASSON, London Regt, who was previously reported seriously wounded, has died of his injuries in a base hospital. The son of Mrs Casson, of 395 Bury-rd., Bolton, and 33 years of age, he was formerly on the publishing staff of the “Bolton Evening News”. Later he took up the position of publisher of the “Lincoln Echo and Gazette”. He enlisted in the Artists’ Rifles, and was afterwards transferred to the London Regiment. Recently he obtained two stripes in five weeks and was made the leader of a Lewis Gun team, and he had been recommended for a commission. His wife is the daughter of Mr Joseph Edge JP.